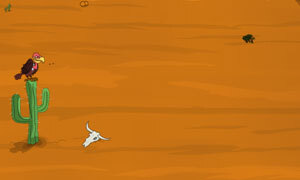 Sahara Desert Escape is point and click, escape game by games2rule. You are trapped in a Sahara desert the only one way to reach the city is to across the quick sand .The quick sand is covered horizontally over 200 km .But there was a secret way you have to find it to escape. Remember one thing; your body water level will reduce within 30mins so you have to find the way to increase the water level in your body otherwise you will surely die. In deadly Sahara desert also have deadly venom snakes. If they bite you in the desert, find some natural medicine to cure fully. Fight over the struggle to escape from the Sahara desert and feel the live escape experience in our escape game. Good luck and have fun.